Who said only diamonds are a woman’s only best friend? The swipe of a red lipstick can save the day for any woman. Makeup is like our second skin and spending on some good quality product is an investment. Drugstore makeups are easy on your pocket and do a decent job. But there are certain lux products that are a must-have for you to amp up your makeup game. If few extra pennies can buy you flawless makeup that lasts, then why not? 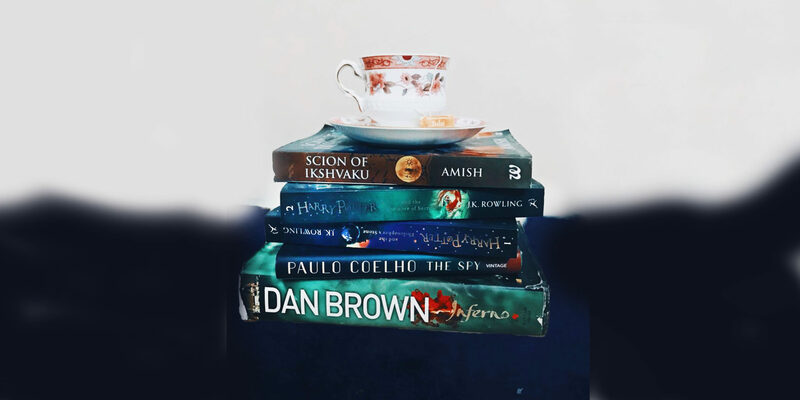 Here are my Best Picks.. If you’re looking for a foundation that looks and feels like skin, this is the one! 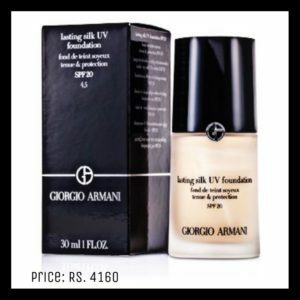 Priced at 4160 INR, this foundation comes in 29 shades. 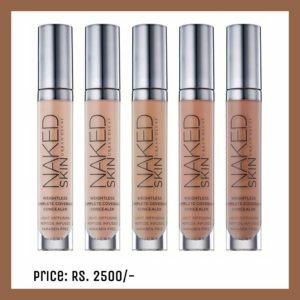 This foundation comes with light reflecting technology and gives a dewy finish to your skin. It comes in an oil-free, silky texture with buildable coverage. The best part is that it doesn’t settle into fine lines and suits all skin types. You’ll surely get addicted to this bottle of silk! This concealer comes in a light-weight formula with the goodness of green tea. It nourishes your skin and reduces the appearance of fine lines. 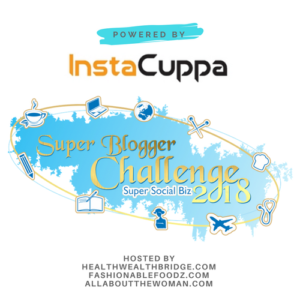 It offers full coverage and gives your skin a plumped up appearance. It comes in 13 shades, ladies! So go ahead and pick the one for you.This one’s a keeper! 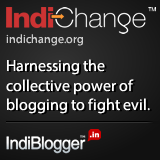 It is available in India at around 2500 INR. You can buy it from Urban Decay site at $16 but be ready to shell out the extra shipping charges. Huda Beauty is ruling the world of beauty with it’s range of liquid lipsticks and foundations. But the real winner is its eyeshadow range. The Desert Dusk Eye Palette is a must-have for any makeup lover. Priced at 4850 INR, this product is an investment! 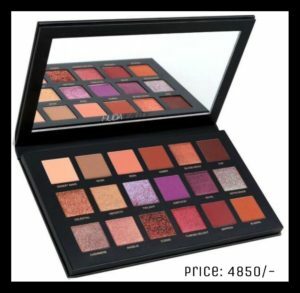 This palette has 18 shades in both shimmer and matte texture and gives you the freedom experiment with your eye makeup. The shades are highly pigmented and long-lasting! This lipstick is pure luxury! It comes in a gold case and looks like a jewel you want to treasure forever. These lipstick come in both satin and matte finishes. You can choose from a wide range of shades as per your skin tone. They are available at $37- $40 internationally. In India, you can find them for 2796 INR but availability is limited to online only. Bold brows are in vogue. Keep your brow game up with Mac Brow Sculpt. It comes with a retractable pencil on one end and a grooming brush on the other. 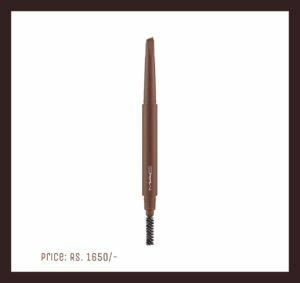 The retractable pencil has an angular tip and helps in filling and shaping the brows in a more precise manner. The brush helps with the final grooming and gives your eyebrows a more natural and fluffy look. 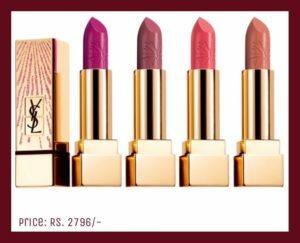 This product comes in 8 shades; pick the shade that suits you. It is priced at 1650 INR and a decent buy for the sake of “princess” eyebrows! 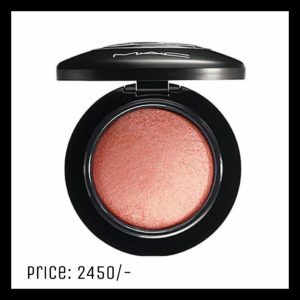 Give you cheeks a pearly glow with a hint of definition with MAC Mineralize Blush. It comes in 17 shades for different skin tones and has a sheer finish. With an ultra-light texture, it does not feel heavy on your skin. It suits all skin types and does not break your skin out. At 2450 INR, it promises a natural blushed look. Want a skin that’s lit from within? If your answer is yes, Chanel’s Illuminating makeup base is your go-to product. 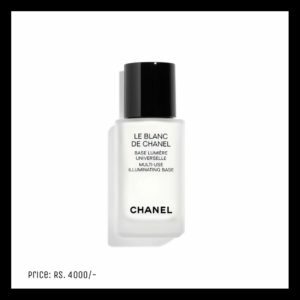 Priced at a whopping 4000INR, this Make-up Primer promises reduced pores and eliminates excess oil from your skin. The liquorice extracts even out your complexion while preparing it for flawless makeup application. 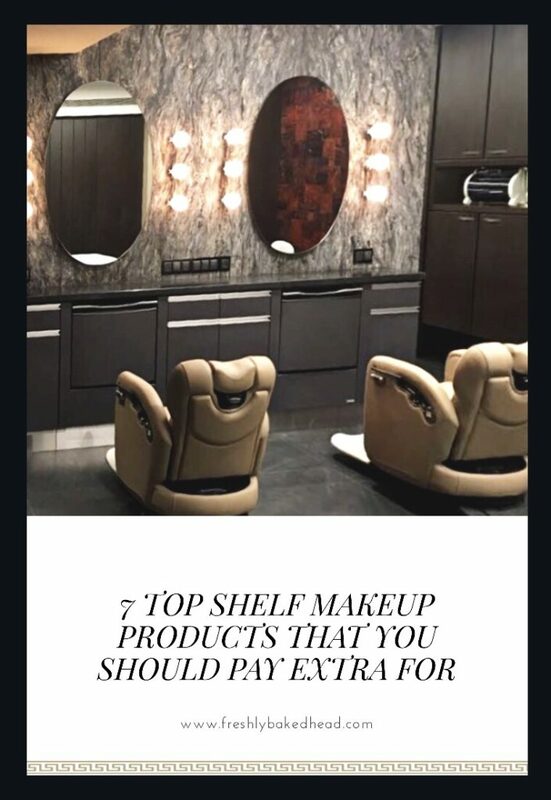 The above products are from luxury brands and even if you find them burning a hole in your pocket, your skin will thank you for purchasing them. Slay the world with your airbrushed looks with the best makeup in your closet!